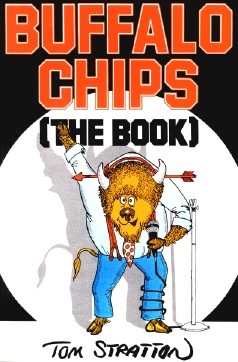 The late Tom Stratton became a Western New York fixture with his locally published cartoon series, "Buffalo Chips." His unique slant on all things Buffalo are showcased in this 144-page book of his special brand of humor. Nothing was sacred to Stratton. Given that Buffalo was the birthplace of chicken wings, he wrote, "Even as you read this, genetic engineers at the University of Buffalo are developing a chicken with the wing span of a Piper Cub." On our close friend, the personal computer, he offered this: "I am not comfortable realizing that home computers are creating a whole generation of compulsive button-pushers. The last thing we need in a nuclear age is a society of button-pushers." Laugh along with over 100 of Tom Stratton's best cartoons, plus essays covering every topic from a trip to the health club to "Buffaloed By History: A Fractured Look at the Queen City's Past."